I used die cut stickers from Jolee’s boutique (Michael’s) and the background paper is from an old stack (seriously old – probably 12 years or so). The font underneath is “Burton’s Nightmare” and is a free font you can download. I loved my card! It is still up on my bulletin board never ever to be put away. 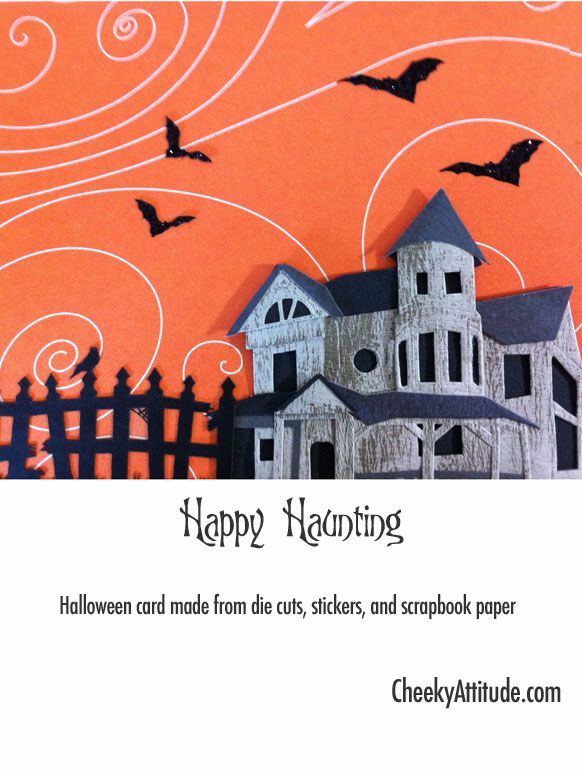 Actually mine was from a couple of years ago….with ghost cut out inside from the kitties with happy halloween.